Dunedin defeated the Palm Beach Cardinals by the final of 3-2 in eight inning in game one. In game two, Palm Beach rode a strong pitching performance by RHP Jake Walsh to a 4-1 victory. In game one, rehabbing infielder Josh Donaldson smashed a solo homerun to left in the bottom of the first to give the Blue Jays a 1-0 lead. Palm Beach tied the game on the RBI sacrifice fly off the bat of Scott Hurst in the third. The Cardinals gained their first lead of the game when Conner Capel smacked a double to right that scored Ryan McCarvel to give Palm Beach the 2-1 lead in the fifth. Down to their final out in the bottom of the seventh, Ivan Castillo hammered a line drive single into center that scored Riley Adams to tie the game at two apiece. In the bottom of the eighth and with the bases loaded, Brock Lundquist looped a single to left that scored pace-of-play runner Rodrigo Orozco to seal the 27th come from behind and seventh walk-off win for the Blue Jays. Florida State League pitcher of the year RHP Patrick Murphy went 5.0 innings, striking out five. Righty Bryan Baker picked up his first win of the year, throwing two scoreless frames. In game two, Kevin smith drilled a solo homerun to left to give the Blue Jays a 1-0 lead in the first. In the top of the third, Conner Capel and Dylan Carlson singled to put two runners on for Palm Beach. Elehuris Montero then drove a double to right center allowing Capel to score and giving the Cardinals the lead. Ryan McCarvel knocked in his 30th run of the year with a single in the fifth. Two batters later, Juan Yepez registered an RBI that scored Montero to give Palm Beach a 3-1 lead. The Cardinals tacked on an insurance run in the top of the sixth to secure the 4-1 win. RHP Jake Walsh was the story of the second game as he picked up his seventh win of the year, throwing five innings, and striking out six. 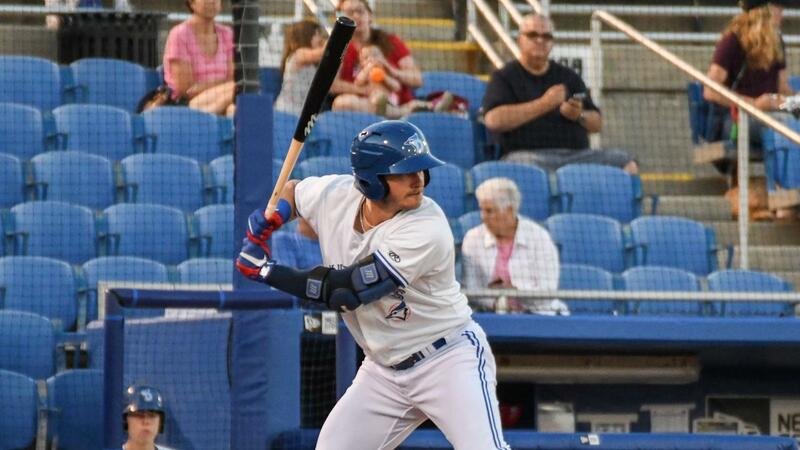 The Blue Jays final homestand continues tomorrow against the Daytona Tortugas. Game one's first pitch is set to be thrown at 6:30. Tickets are still available, and the audio broadcast will be available on the Dunedin Blue Jays Radio Network through TuneIn Radio.